Werribee is a suburb of Melbourne, Victoria, Australia, 32 km south-west of Melbourne's Central Business District, located within the City of Wyndham local government area. On the 27th (Mon), see the interesting displays at Scienceworks and then steep yourself in history at Point Cook Homestead. To find other places to visit, reviews, traveler tips, and tourist information, read our Werribee trip planner . Kuala Lumpur, Malaysia to Werribee is an approximately 13-hour flight. The time zone changes from Malaysia Time to Australian Eastern Standard Time (Victoria), which is usually a 2 hour difference. Expect colder temperatures when traveling from Kuala Lumpur in May; daily highs in Werribee reach 20°C and lows reach 9°C. Finish your sightseeing early on the 28th (Tue) to allow enough time to travel to Lakes Entrance. Lakes Entrance is a seaside resort and fishing port in eastern Victoria, Australia. You'll find plenty of places to visit near Lakes Entrance: Bairnsdale (St Mary's Catholic Church, East Gippsland Rail Trail, & more), Buchan Caves (in Buchan) and Raymond Island (in Paynesville). There's still lots to do: putt your heart out at Footbridge Mini Golf, Icecream & Lolly Shop, see the interesting displays at Griffiths' Sea Shell Museum & Marine Display, have some family-friendly fun at Lakes Entrance Mini Golf and Trampolines, and learn about winemaking at Tambo Winery. To see photos, where to stay, ratings, and more tourist information, read Lakes Entrance attractions planning website . You can drive from Werribee to Lakes Entrance in 4.5 hours. In May, daily temperatures in Lakes Entrance can reach 20°C, while at night they dip to 7°C. Wrap up your sightseeing on the 31st (Fri) early enough to travel to Wollongong. Wollongong, informally referred to as "The Gong", is a seaside city located in the Illawarra region of New South Wales, Australia. On the 1st (Sat), appreciate the history behind Lawrence Hargrave, then get great views at Grand Pacific Drive - Sydney to Wollongong and Beyond, and then admire the natural beauty at Wollongong Botanic Garden. To see more things to do, ratings, maps, and other tourist information, read our Wollongong trip planner . Getting from Lakes Entrance to Wollongong by car takes about 7.5 hours. Traveling from Lakes Entrance in May, you will find days in Wollongong are a bit warmer (24°C), and nights are about the same (7°C). Cap off your sightseeing on the 2nd (Sun) early enough to go by car to Sydney. Attractions like Bondi Beach and Chinese Garden of Friendship make great kid-friendly stops. Step out of Sydney with an excursion to Wentworth Falls in Katoomba--about 1h 30 min away. The adventure continues: kick back and relax at Manly Beach, stroll through The Opera House to the Botanic Gardens Walk, see the interesting displays at Australian National Maritime Museum, and take a stroll through Darling Harbour. For traveler tips, more things to do, and tourist information, read Sydney travel itinerary planner . Traveling by car from Wollongong to Sydney takes 1.5 hours. Alternatively, you can take a train; or take a bus. 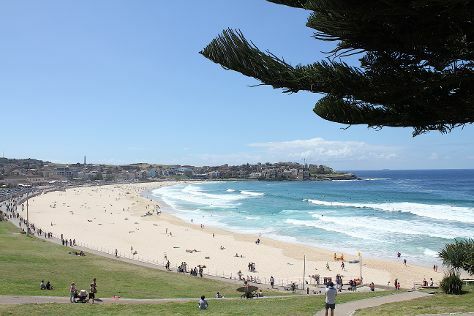 Traveling from Wollongong in June, plan for somewhat warmer nights in Sydney, with lows around 11°C. Finish your sightseeing early on the 6th (Thu) to allow enough time to travel to Albury. Albury, a major regional city in New South Wales, Australia, is located on the Hume Highway and the northern side of the Murray River. Your day-by-day itinerary now includes MAMA - Murray Art Museum Albury. Kick off your visit on the 6th (Thu): have fun and explore at MAMA - Murray Art Museum Albury and then take in nature's colorful creations at Albury Botanic Garden. For other places to visit, where to stay, reviews, and other tourist information, refer to the Albury route builder website . Fly from Sydney to Albury in 3 hours. Alternatively, you can drive; or take a bus. In June, Albury is slightly colder than Sydney - with highs of 15°C and lows of 3°C. Finish up your sightseeing early on the 7th (Fri) so you can travel to Melbourne. 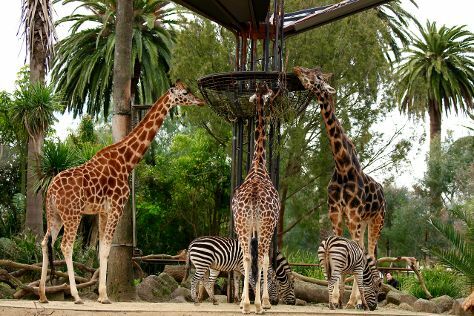 Your day-by-day itinerary now includes Eureka Skydeck 88 as well as Melbourne Zoo. On the 8th (Sat), get to know the resident critters at Melbourne Zoo, examine the collection at Melbourne Museum, then contemplate the long history of Old Melbourne Gaol, then take in nature's colorful creations at Fitzroy Gardens, and finally take in panoramic vistas at Eureka Skydeck 88. To see other places to visit, more things to do, ratings, and tourist information, use the Melbourne itinerary planner. You can fly from Albury to Melbourne in 2.5 hours. Alternatively, you can drive; or take a bus. Expect a daytime high around 16°C in June, and nighttime lows around 6°C. Finish your sightseeing early on the 8th (Sat) to allow enough time to travel back home.